Our students make our work fun! Come and be a part of our world. No matter where you are in life, we can help you get ready for additional education or the workforce. We work with you to gear everything toward the goals you want to accomplish. 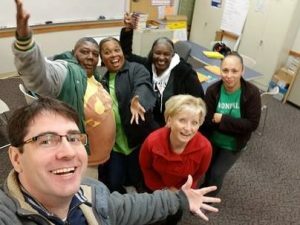 The Arkansas State University Adult Education Program provides basic skills instruction in reading, writing, and math to adult learners to prepare them for college and the workplace. Each student is provided with an individualized roadmap that includes varied instructional strategies designed to meet his or her academic needs in preparing for the General Educational Development Test (GED), college entrance, and the workplace. We provide English Language instruction to adult speakers of other languages. ESL/ELL instruction concentrates on speaking and listening skills in the beginning levels and progresses to reading and writing skills. 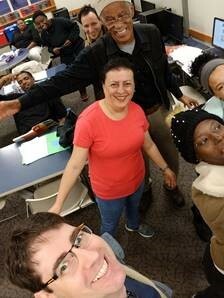 Improved language skills help ESL adults become better community members with more possibilities for interpersonal interaction and better employees with more opportunities for employment. Accelerating Opportunities propels adult learners into the workplace at an accelerated rate by allowing students to dually enroll in career and technical college courses while working to obtain a GED. The program is designed to reengage students in a structured environment and support their transition to post-secondary education. Distance Learning provides additional self-paced online instruction in concurrent enrollment with typical face-to-face classes. 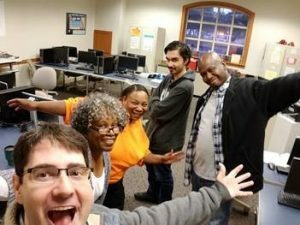 Program designed to mirror lessons learned in managed enrollment courses and fine tune skills in preparation for obtaining a GED. Fast-Paced short-term classes that engage students in a variety of subjects. Programs designed to quickly progress students through the process of earning their GED while engaging them in collaborative learning. Self-Paced classes that allow supplemental instruction for students wishing to make additional progress toward obtaining their GED. Program designed for individualized instruction and student centered growth.